The smallest details of safety awareness can prevent disaster. Safety cognizance is critical in a hospital where exposure to bacteria can cause an outbreak, loose wires can cause an accident, medical information can be compromised, or aged medical cart batteries are a fire hazard. Medical staff should always keep an eye out for hidden hazards, and this includes performing daily organization and upkeep of medical carts. Here are a few safety tips for using medical carts in hospitals for the medical professional who wants to secure the welfare of their patients and coworkers. It is easy for a medical cart to become quickly cluttered especially in a hectic hospital environment. An orderly medical cart will provide you more efficiency throughout your shift. Many hospitals have audits and random checks of equipment. Never let an audit be your only motivation to stay organized. Create a checklist of items you need to keep stocked and have a specific location for everything you handle throughout your shift. Always check expiration dates and dispose of materials and products according to hospital protocol and health regulations. 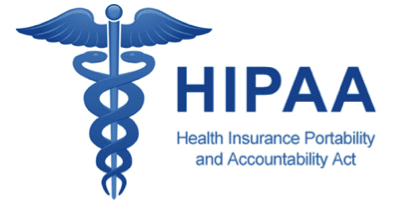 Those who work in the medical profession are familiar with proper HIPAA protocol. Ensuring your patient’s safety also means protecting their privacy at all times. Logging into your specific account and logging out is a vital part of following HIPAA guidelines. Set up safeguards on your monitors to keep intruders from accessing sensitive information. If you sense someone is attempting to view your screen to gain information, turn it up or down in a direction that cannot be easily read. If you must walk away from your cart log out of your screen. It is easy to get pulled away for longer than you initially intended. Never leave your monitor unattended, even if you have a 30-second automatic shut-off. A few seconds can still allow a breach, and potentially compromise a patient’s privacy. If you have a workstation on wheels, make sure you mitigate the fire hazard risk by using hot-swappable batteries. Using batteries also limits the potential for tripping over loose wires and cables. These non-powered carts are lightweight and can be easily maneuvered by staff from one location to another. Medical carts have compartments with locks that allow you to keep hazardous items out of the hands of patients and hospital guests. As a key component to your organization, always know what type of object you have assigned to each locked drawer. Never leave medication, syringes, or other hazardous medical materials in unlocked compartments or out in the open if you must walk away from your cart. If you are called away from the cart, place all items inside of a secure compartment. Inevitably, in the working environment of a hospital, medical carts can become dirty and contaminated with germs from normal procedures. Consider keeping disinfectant cleaning wipes on your cart, so you can frequently sanitize its surface. If you have placed dirtied wraps, syringes, or urine samples onto the cart, wipe it off immediately after leaving the patient’s room. If you have a computer cart PSAE, VRE and MRSA are common bacteria that can be transferred through keyboard contact. Medical computers are rated IP65, which makes them water and rust resistant. Simply disinfect them as needed, and always at the end of your shift. If your keyboard is rated IP68, you can submerge it in water for a thorough cleaning. Although medical grade computers have an antimicrobial housing, it is still essential you disinfect them since they see a lot of interaction from various medical staff. Medical carts almost become one with the practitioner who uses it throughout their shift. However, there are moments when carts must be left behind or when you need to maneuver an awkward space. Be aware of your surroundings and considerate of those trying to get around you and your cart. Never leave your cart in a high traffic area, or in the walking path of a patient’s room. In case of an emergency, make sure your cart is never blocking a passageway.